HTC One X and Evo 4G LTE landing stateside after all? HTC has confirmed that some of its handsets have successfully made it through US customs, as Apple presses for them to be banned should they be found to infringe patents. Last week we reported that the HTC One X and Evo 4G LTE had been delayed in America, as US customs investigated claims by Apple that the handsets infringed on its patents. This news was followed a couple of days later by retailer Best Buy telling customers they won't get the Evo 4G LTE any time soon, but that may not be the case. HTC posted an update on its investor site saying; "Each imported HTC model must be reviewed by Customs and will be released once Customs officials have completed the inspection. "Some models have gone through inspection and been released to our carriers customers. "We don't have the status of each specific device model at this time, but we are working closely with Customs. We remain confident that this issue will be resolved soon." 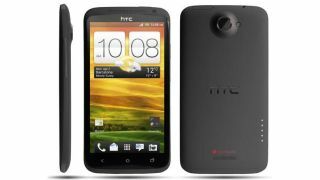 It's still unclear which handsets, and in what quantity, have made it into stores, but there's now light at the end of the tunnel for anyone waiting for their fancy new HTC One X to turn up.